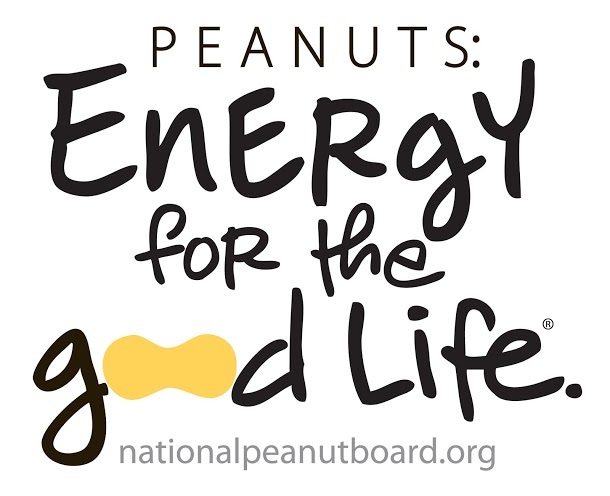 This post is part of a compensated campaign in collaboration with Latina Bloggers Connect and The National Peanut Board. All opinions are my own. We are in the midst of Hispanic Heritage Month and having lived in Washington, DC for years where I attended a ball every year to celebrate the month, this time brings about good thoughts for me. My heritage is something I love and I also enjoy sharing the great things it has to offer with others. It especially thrills me that the kids are taking Spanish this year and I love helping them study it. Hearing their little accents when they practice Spanish brings a smile to my face. I don’t know about your family but it seems as if mine is running around more and more these days. Juggling work, family and activities can take a lot out of us. More than ever, we need help to get through the day (or night) in our increasingly busy lives. Whenever the kids need a pick me up to do their homework, we oftentimes reach for one of our favorites – peanut butter. Whether it’s on bread or with apples, the kids love it! We also always have a jar of peanuts on the kitchen bar so everyone grabs a handful when they need some extra energy. Peanuts and peanut butter provide lasting energy and are a smart addition to your diet any time of the day. It’s also an affordable source of protein and really convenient–you can take a pack of peanuts with you in your purse for a snack or stir peanut butter in a smoothie or your oatmeal. And with 7 grams per serving, peanuts have more energy boosting protein than any nut. This along with their more than 30 essential vitamins and nutrients, peanuts are considered a Superfood. When you consider the value, nutrition and flavor of peanuts and peanut butter, you get a lot for your money. Plus the fact peanuts originated in South America, I’m happy to give these to the kids whenever they need a boost. 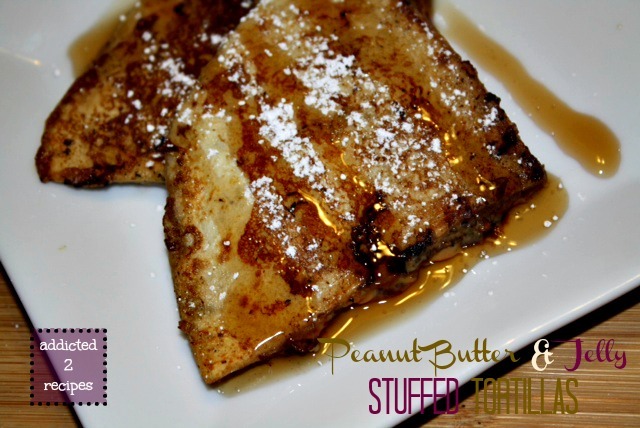 This French toast like snack has become a family favorite. So when I was thinking of something I could make with peanut butter that the kids would love, I knew this would do the trick. It’s good for breakfast or an after-school snack. It can also be a dessert because it does have a sweetness to it. The peanut butter and jelly are loved by most kids so even if you have picky eaters, chances are they will enjoy this like ours did. Spread Skippy Peanut Butter on three of the tortillas. Smooth jelly over the peanut butter and spread out over the tortillas. Place the remaining tortillas on top of the peanut butter and jelly covered tortillas. Cut each tortilla in half and then in half again to create four triangles from each pair. In a small bowl, whisk together the egg, milk, vanilla and cinnamon. Heat a frying pan on medium heat and add a pat of butter. Dip tortilla triangles in the egg mixture, then add to the frying pan. Cook on each side for a couple of minutes ensuring the egg batter is cooked through. Sift powdered sugar over top and serve with maple syrup. Que delicia de tostadas.. las voy a hacer aqui en casa..